The ​First Nations Health Authority (FNHA) is the first province-wide health authority of its kind in Canada. In 2013, the FNHA assumed the programs, services, and responsibilities formerly handled by Health Canada’s First Nations Inuit Health Branch – Pacific Region. First Nations Health Authority engaged Signals to develop the brand and visual identity for this health organization tasked with the health and wellness of British Columbia’s first nations people. We worked with the communications team to hold consultations and assemble input from the community and created a strong brand identity that remains the core of their communications program. 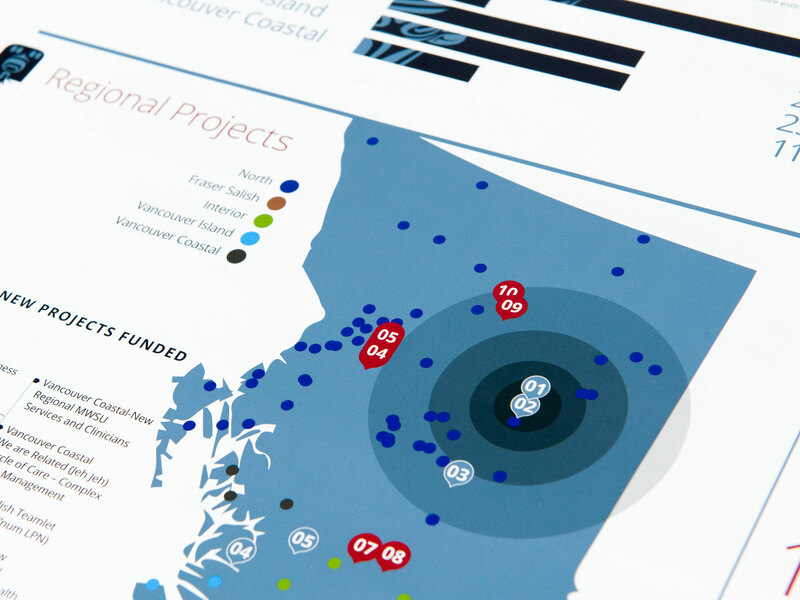 A detailed brand guide, collateral materials and publications were all part of our original engagement. We also worked with their sister organization, the First Nations Health Directors’ Association to create their brand identity and roll out, consulting health leaders from throughout British Columbia. 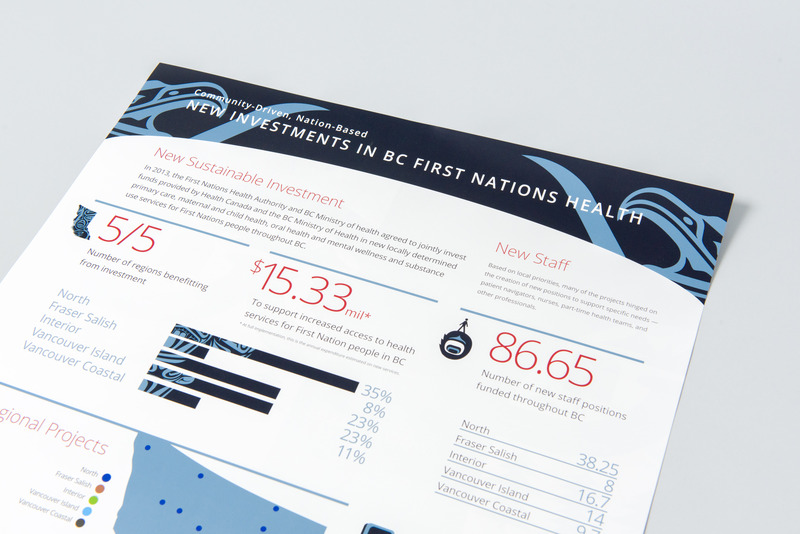 Since developing the branding, Signals continues to work with the FNHA on special projects including infographics to convey complex systems information as well as targeted public health campaigns to promote health and wellness in specific populations. A unique mix of past, present and future inspired the FNHA visual brand and is reflected in the combination of traditional and contemporary imagery and elements throughout. The thunderbird, traditional symbol of transformation and healing, forms the core of the identity. The thunderbird is rendered in a contemporary style to reflect the dual role of traditional and contemporary practices in healing. The circle surrounding the thunderbird represents the impact of transformation: it suggests the ideas of wholeness and of a world transformed through an holistic approach to health and well-being. The thunderbird is shown looking up to signify an uplifting, positive spirit and a healthy future. To create this visual brand, we collaborated with First Nations artist, Andrew Dexel.